You may have focused on the top races for control of the Senate or governorships across the county, but oil and gas drilling was on the ballot too. Today I’ll catch you up on a few ballot measures that will have an impact on the future of oil and gas drilling along the Beartooth Front and across the country. Mike Wheat. Click to enlarge. 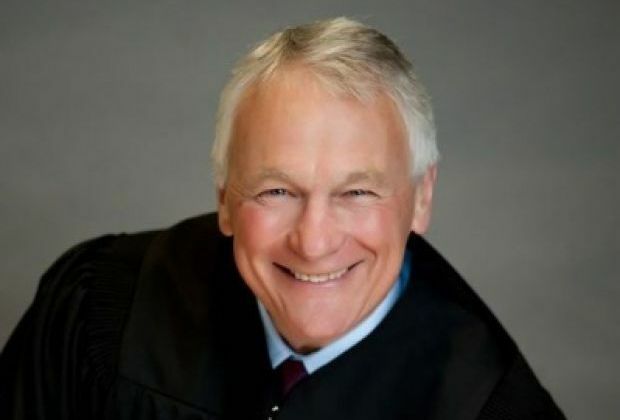 First, Montanans showed the good sense to return state Supreme Court Justice Mike Wheat to the bench by a margin of 59% – 41%. Outside corporate interests wound up spending over $500,000 to replace Wheat with an unqualified judge who was committed to follow an agenda driven in part by the oil and gas industry. A great outcome that holds promise for making sure that Montana’s approach to oil and gas drilling balances the needs of communities and the environment with those of the oil and gas industry. In other Montana election news of concern to readers of this blog, Yellowstone County incumbent Virginia Court defeated Tom Richmond in Montana House District 50. Court, who has served in the House since 2011, is a successful small business owner who supports a sound economy, a good education system, and clean water and air. Readers will remember Tom Richmond as the longtime administrator of the Montana Board of Oil and Gas Conservation (BOGC) who offended so many local residents when he spoke at the Elks Club in Red Lodge last January, and who was instrumental in denying Silvertip residents the opportunity to testify against the permitting of an oil well in Belfry. Good choice, Yellowstone County. Nationally, the most visible victory of the night came in Denton, Texas, located in the middle of the rich Barnett Shale. Last summer the local city council refused to act on citizen concerns about the dangers of fracking. 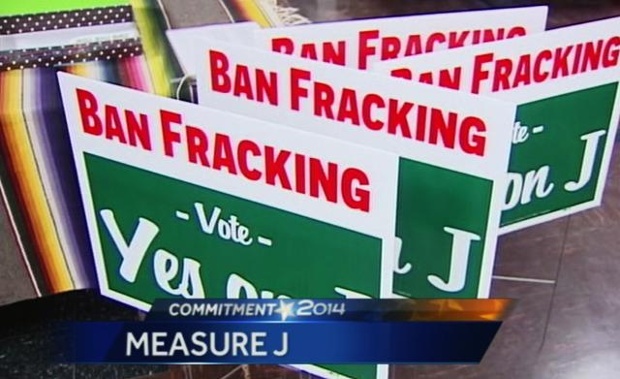 Undeterred, the citizens went to the ballot to pass a fracking ban. The oil companies pumped huge amounts of money into the campaign and threatened to sue if the initiative passed. 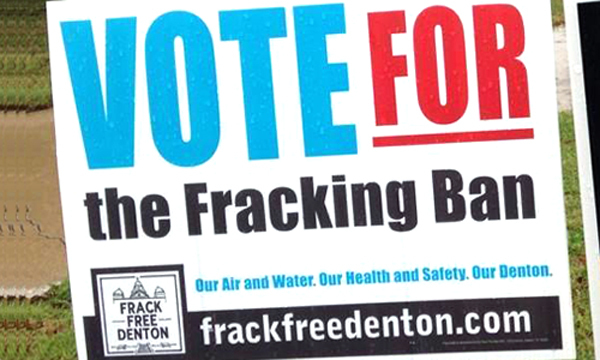 But the measure won 59% – 41%, making Denton the first city in the largest oil and gas producing state in the county to pass such a ban. A lesson for elected officials in Texas, but for Montana County Commissioners as well: private land owners who demand to control what happens on their own property should be ignored at your own risk. Athens became Ohio’s fifth city to ban fracking Tuesday when voters approved a local ordinance to ban the practice inside the city limits. The Athens Community Bill of Rights passed with about 78 percent of voters casting ballots in favor. The measure modifies Athens municipal laws to prohibit shale gas and oil extraction and related activities. Other Ohio cities that have passed Bill of Rights fracking bans include Oberlin, Cincinnati, Broadview Heights and Yellow Springs. In Mendocino County in northern California, residents also adopted a “Community Bill of Rights” law banning fracking by a vote of 67% – 33%. California’s deep drought and Mendocino’s location on a major earthquake fault were the deciding factors for local residents. What makes these Bill of Rights initiatives of particular interest to Montanans is that the initiative establishes the rights of the people of Mendocino County to a “healthy environment,” including clean air and water. Fracking is banned as a violation of that right. The extraction or sale of local water for use in fracking anywhere in the state is also banned, along with the dumping of toxic fracwater. to a clean and healthful environment and the rights of pursuing life’s basic necessities, enjoying and defending their lives and liberties, acquiring, possessing and protecting property, and seeking their safety, health and happiness in all lawful ways. The similarities are striking. You have to wonder whether this right might be a future reason to ban fracking. In rural San Benito County, located just south of Silicon Valley, the oil and gas industry spent nearly $2 million, fifteen times more than the group in favor of the ban. Although there is currently no fracking in the county, the industry was clearly concerned about the precedent it would set. The initiative passed 57% – 43%. However, not all proposed fracking bans were successful on Tuesday. In Santa Barbara, California, where there is already extensive offshore oil drilling, voters sent Measure P to a decisive 63% – 37% defeat. Local oil producers threatened lawsuits against Santa Barbara County if Measure P succeeded. And Californians for Energy Independence, an industry group with major funding from Chevron and Aera Energy, funneled $7.6 million against the initiative. Overall the industry outspent initiative proponents 20-1. Three other Ohio cities — Gates Mills, Kent, and Youngstown — turned down similar fracking bans to the one in Athens. Right now there are no movements to impose fracking bans along the Beartooth Front similar to the ones that were passed Tuesday. Local citizen groups are working with County Commissioners to establish citizen initiated zones that will define the legal requirements for how and where drilling will take place. Citizens have consciously adopted this balanced approach to find solutions that are fair to land owners who are concerned about damage to their property and livelihood from drilling, yet want to be respectful of the rights of their neighbors who might benefit from mineral extraction. However, ballot initiatives could take place in the future, particularly if oil companies place legal roadblocks in the way of this fundamental citizen right, or if the County Commissioners choose to ignore the legal right of citizens to take this action. Energy Corporation of America has threatened to pursue legal action outlined in the letter at right, if the Carbon County Commissioners work with local citizens to establish a citizen initiated zone. It is clear that citizens across the United States are recognizing the dangers of oil and gas drilling more clearly, and are beginning to take action to protect themselves. Communities in Carbon and Stillwater Counties, recognizing those same dangers, are taking a different path, but one that leads the door open to more comprehensive measures if necessary. I’ll be writing more in the future about these community bill of rights initiatives. This entry was posted in Community Organization, Politics and History and tagged Athens Ohio, community bill of rights, Denton Texas, Energy Corporation of America, fracking bans, Mendocino County, San Benito County. Bookmark the permalink. it is nice to know that money cannot buy ALL elections. It is so important to have fair, experienced and deliberate judges in our highest courts. it take that kind of IMPACT to get folks to Wake TF up? Thank you for what you do. You have stepped up in such an important way. oil and gas industry’s gift of in 2005 legislation that didn’t hold them accountable under the Clean Air and Water Acts, another sleazy Cheney ploy while we were distracted and divided by an disastrous Cheney adventure into Iraq. The MT Supreme Court matters, as they ruled in 2010 that Cascade County – doing SME’s bidding (Beartooth co-op folks can thank SME for their staggering electric rates, and why Yellowstone Valley co-op fled SME in 2009) – LOST when court ruled the county engaged in ILLEGAL SPOT ZONING. Elections MATTER, even at you county commission. PS – Arleen Boyd a real hero, speaking Truth to Power and serving Beartooth Electric Co-op with courage and integrity.